Today, more than ever, talent for your business is hard to find – and even harder to keep! Evidence shows that coaching and mentoring can help you improve employee retention – because individuals who are growing and developing on the job are less likely to leave. Developing your team through coaching and mentoring enhances their skills, knowledge and performance – and makes them more accountable for achieving their goals. This one-day interactive workshop will develop your coaching and mentoring skills to help you become the kind of leader who enables great performance from their team – ensuring they deliver the service quality to your customers that your business demands. Special Prices – Save £50 + vat! 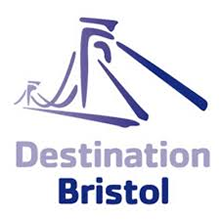 We’re pleased to confirm that a preferential rate of £145 +vat, per person per course, is available to members of Destination Bristol. Our normal price for attending this course is £195 +vat. Managers who may be great at most aspects of their job – but just need some help in getting their team to really shine! Hilary is a passionate, experienced and renowned facilitator and developer of people and organisations - and has spent all her career in the hospitality and tourism industry. A combination of strategy, psychology and business experience helps her to lead individuals, teams and organisations to develop their key strengths - and to really perform and sparkle! An NLP Master Practitioner, and one of only 12 Master Facilitators of FIRO Theory in the UK, Hilary holds a PhD in Personnel and Development and MA in Human Resource Strategy, and is a Fellow of the Institute of Hospitality. 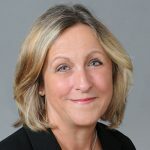 A highly skilled group facilitator, experienced trainer and executive coach, Hilary is Director for the award-winning Master Innholders Aspiring Leaders Diploma programme, and is approved to deliver awards for the Institute of Leadership and Management - the UK's leading provider of leadership, management and coaching qualifications.